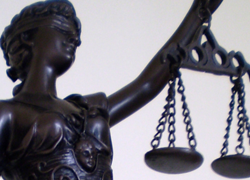 Tag Archive | "Public International Law"
The UN recently adopted a set of guiding principles based on the dual responsibility of governments and companies to protect human rights against corporate abuse, but it misses the mark. Why don’t we hold businesses to a higher standard? Who should be responsible for setting the proper standards for corporations? Summary: Governments and companies have a duty to work together to promote human rights rather than simply protect against human rights from corporate abuse. Ruggie’s endorsement of a dual responsibility misses the mark on what is truly needed, i.e. a drastic shift in corporate culture and a decrease in corporate influence of national legislative agendas. On June 16, 2011, the United Nations Human Rights Council unanimously endorsed a new set of global guiding principles for businesses (“Guiding Principles on Business and Human Rights“) designed to ensure that companies do not violate human rights in the course of the their transactions and that they provide redress when infringements occur. 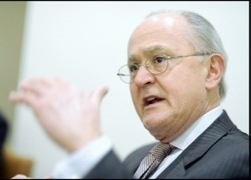 The principles are a culmination of six years of research led by Professor John Ruggie of Harvard University, the UN’s special representative on business and human rights since 2005, who visited 20 countries, conducted online consultations with thousands of participants, and received dozens of recommendations. According to Ruggie, states and companies have a dual responsibility under which states must enact and enforce the appropriate laws and companies have an independent responsibility to respect human rights. This is an effort to combat the lack of enforcement or weak status of national laws which is often used as an excuse or explanation for the failure of businesses to act responsibly. However, one should pause to think about what type of solution will resolve this inefficiency and yield the desired results. When national laws are inadequate and/or unenforced companies are free to violate human rights on their path to gaining market share, in the so-called, “best interest of their shareholders.” This problem is further exacerbated by the exponential growth of multinationals which, due to the nature and expanse of their global operations, are capable of committing both major and minor violations and these often go unnoticed and/or unpunished. The guiding principles differ from the UN’s Global Compact (which Ruggie was also instrumental in designing) and mark the culmination of Ruggie’s tenure as the special representative on the issue of human rights and transnational corporations and other business enterprises. In spite of the Global Compact’s 8,000 corporate members from over 135 countries, it has befallen a great deal criticism for its failure to punish those companies who violate its code. Whereas the Global Compact was enacted as an initiative of the secretary general, the principles recently adopted by the Human Rights Council were established by governments and include remedy and prevention mechanisms in order to broaden their scope beyond that of the Global Compact. Yet after six years and extensive research, more should be expected. The ‘Corporate Responsibility to Respect’ principles provide a blueprint for companies on how to know and show that they are respecting human rights. The ‘Access to Remedy’ principles focus on ensuring that where people are harmed by business activities, there is both adequate accountability and effective judicial and non-judicial redress. Human Rights Watch described the Principles as a “squandered opportunity” to take meaningful action to curtail business-related human rights abuses. In spite of the differences from the Global Compact, the Principles represent only a “weak” stance on human rights in business due to the absence of a mechanism to ensure that the basic steps to protect human rights set forth in the Guiding Principles are put in practice. Ruggie claims the Principles are the authoritative global reference point for business and human rights and also provide a concrete mechanism to civil society, investors and others through creating the necessary tools to measure real progress in the daily lives of people. On the other hand, critics see them as guidance alone, where companies are encouraged but not obliged to respect human rights, and there is little certainty that they are clear enough to ensure that they are carried out and monitored effectively. According to Arvind Ganesan of Human Rights Watch, rather than guidance alone, what is needed is a mechanism to scrutinize how companies and governments apply these principles. Furthermore, while the Guiding Principles were adopted by governments and in Ruggie’s view, represent collaboration between states and corporations, his own belief that the inadequacy of the current status quo is a result of unenforced state laws. Yet when state legislative bodies are so heavily influenced by business and lobbied by corporate interests, it is hard to imagine a collaborative endeavor in which businesses pressure governments to demand more corporate responsibility. Until corporate culture changes in such a way that respecting human rights becomes synonymous with making profit and actions that benefit stakeholders are equally promoted as those that benefit shareholders, when the triple bottom line is considered as important as the single bottom line, then businesses will be in a position to push governments to accordingly enact those laws that will accommodate and further corporations’ needs and desires to promote and respect human rights because doing so is not only good, but also profitable.